After announcing earlier this year that Thruway tolls would increase 45% for 3 axle commercial trucks, the NYS Thruway Authority now says they've cancelled the toll hikes in favor of a new cost savings plan. The controversial toll hikes would have cost trucks travelling from Buffalo to NY $127, up from $88, and would have raised $85 million annually. Instead, "some authority workers will be laid off and the rest will see their benefits cut, state police will have to fund Thruway patrols themselves, and some state agencies might take over some of the services provided on the canal system, which has been a financial drain on the authority," according to Transportation Nation. 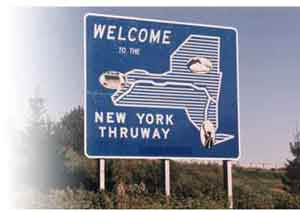 The massive toll increase faced vocal opposition from the trucking lobbies, including New York State Motor Truck Assn. (NYSMTA) and the Truck Renting & Leasing Assn. (TRALA).